We stock New Vintage,Encore,Palma and Falcon, Danelectro, Italia and Tanglewood Guitars. 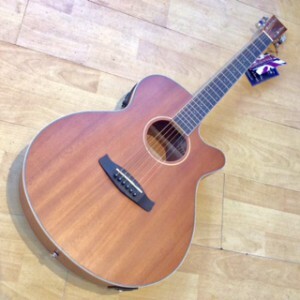 We give all our Guitars, a 'Curvy Sounds' set up,which gives them a beautifully playable, low action. 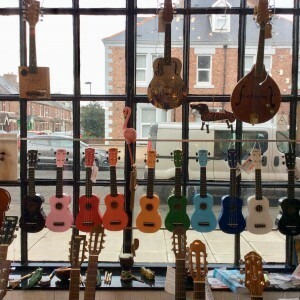 We also stock a range of Vintage, Laka and Riptide Ukuleles. 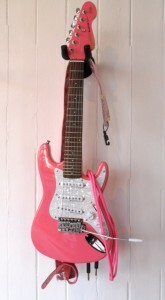 Click on images to see information about instrument. This lovely little Vintage Uke is ideal for anyone starting out on the Ukulele.Whats more they hold there tuning well once the strings have settled in. It comes in red, white or blue ( we are not being deliberately Nationalistic,thats just how they come) . 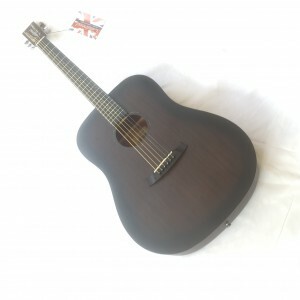 Sapele wood top,back and sides.Mahogany Headstock.Rosewood Bridge.Satin finish. Aquila Strings and Laka padded carry bag. If you fancy trying out a Concert Ukulele ,this is the one to start with. Cheap and cheerful with a good tone. A great starter guitar. 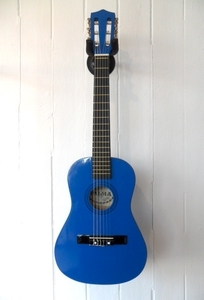 We supply these Junior, Acoustic Guitar packs, in three funky colours -Metallic blue,Metallic Red,and Metallic purple. The pack provides a carry bag,black Guitar Strap, pitch pipes and a spare set of strings. 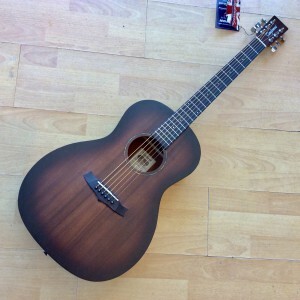 Summerfield Riptide Soprano Ukulele. Mahogany,with natural satin finish. Sound hole ,top right giving an unusual look to these beautiful ukes. 2nd sound hole on side ,to direct sound upwards to the player.